The evidence for that statement is found in this study. In our last lesson, we read about a future holocaust of God’s people that will make Hitler’s Holocaust seem small by comparison. 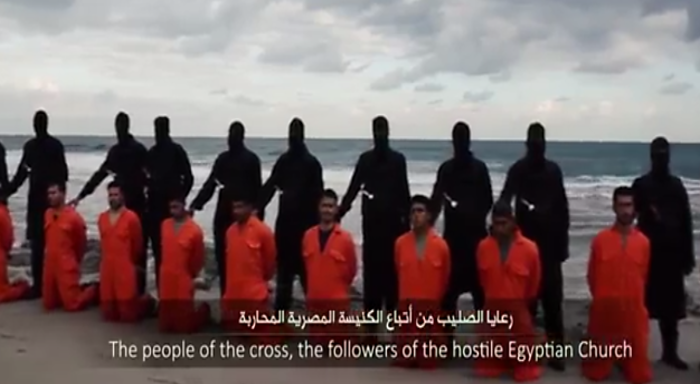 Innumerable multitudes will be martyred for their faith. For that reason, Revelation 6 ended with a statement and a question, “For the great day of His wrath has come, and who is able to stand?” (6:17) This week’s study answers that question. In Revelation 7, we read the testimony of two distinct groups of believers who will suffer the horrors of the Tribulation but ultimately overcome both Satan and his Antichrist. The first group, described in verses 1 to 8, are Jews who will survive both temptation and death. The second group, described in verse 9 to 17, are Gentiles who also overcome the lies of Antichrist, but not without dying for their faith. 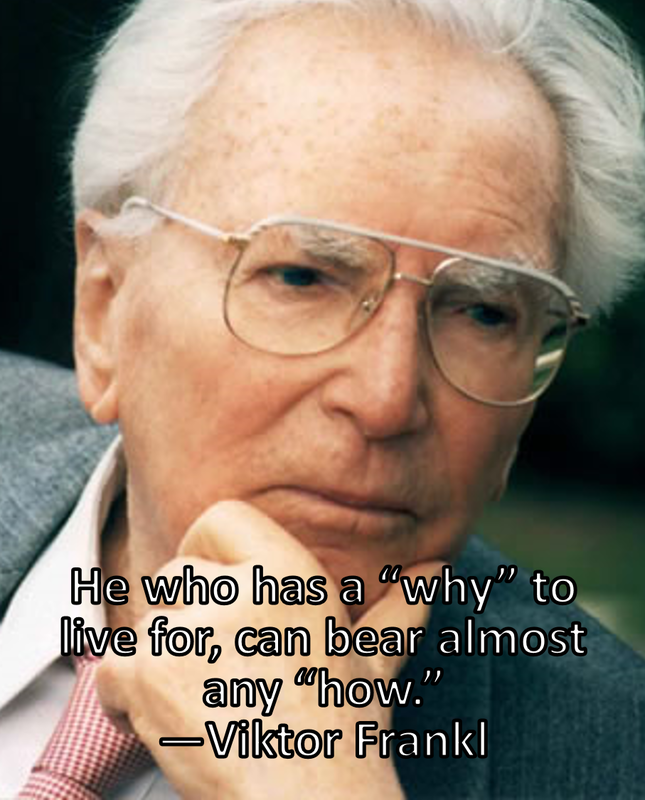 As we learn about each group of overcomers, look for the “why” that made their suffering bearable. It may give you strength to endure the trial you’re facing. Some time ago, my wife and I were visiting our community, knocking on doors and sharing our testimony for Christ. At one door, we were met by a confident fellow who asked, “What can I do for you folks today?” “Well,” I explained, “we’re surveying your neighborhood for our church and wondering, ‘Do you attend church in our community?’” “No, we don’t go to church,” he firmly replied, pointing to something on his doorpost. “We go to synagogue.” It was a Mezuzah, a decorative case with Shema Yisrael inside it. So I quickly backtracked and tried to establish some common ground. I told him how much we appreciated the Jewish people. “After all, you not only gave us our Bible, you also gave us our Messiah!” “Is that so?” he said with a condescending grin. “Well, it’s good to hear that one of our boys finally made good!” Gulp. But the good news is that one day Israel’s blindness will be healed! In Romans 11:25-26, Paul warns his Gentile readers against anti-Semitism and pride: “For I do not desire, brethren, that you should be ignorant of this mystery, lest you should be wise in your own opinion, that hardening in part has happened to Israel until the fullness of the Gentiles has come in. 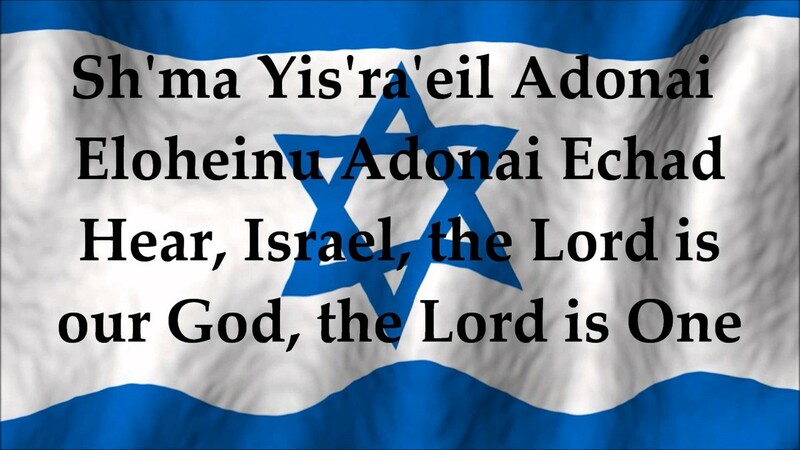 And so all Israel will be saved!” One day God’s work with the church will be finished. One day the last Gentile sinner will accept Christ and the Bride of Christ will be removed from earth to heaven at the Rapture. 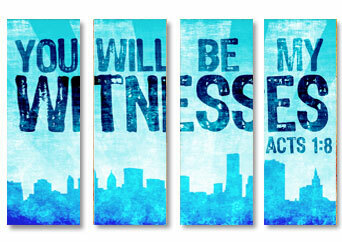 At that point, God’s focus will shift back to the Jews, who will become His special witnesses on earth. The first-fruits of that generation are found here in Revelation 7—144,000 Jewish evangelists who will win the world to Christ. Notice three important facts about them. 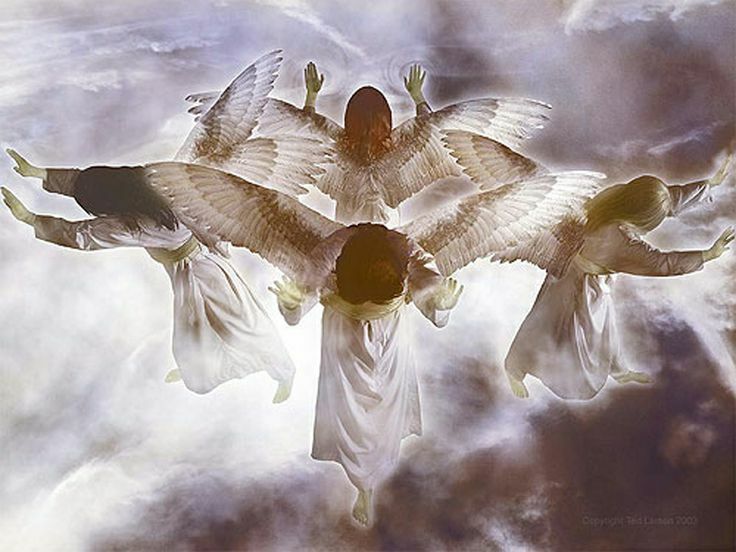 Who are the mighty angels who will stand at the four corners of the earth, holding back the four winds of the earth? The context makes it clear. They are the four angels who are about to blow God’s trumpets of judgment. For John says they have been given authority to “harm the earth and the sea.” Much of the damage will be the result of drastic weather changes on earth, for their judgments are directly connected to the blowing of the wind. Those of you who have been through a tornado, a hurricane, or a forest fire fed by the wind know its awesome power. Furthermore, officials at the National Weather Service warn that capricious jet streams flowing through the upper atmosphere can also cause sudden shifts in weather patterns that can result in floods, blizzards, and droughts. Imagine the carnage that will take place when these natural forces are empowered by the supernatural judgment of God. 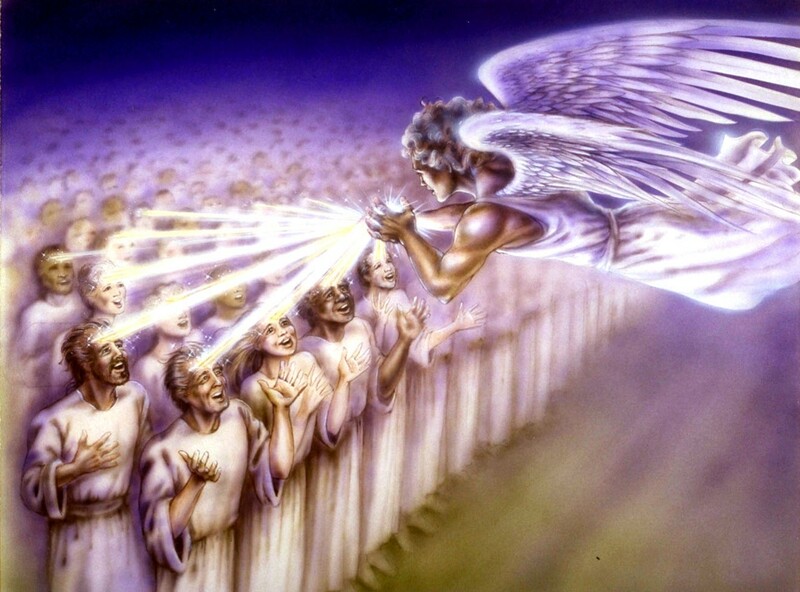 Before these angels can release their judgments, however, a special act of mercy is performed for the servants of God. They are sealed on their foreheads. What is the purpose of this sealing? In Biblical times, a king would seal a document by pressing his signet ring into melted wax on a scroll. This signified possession because the document now bore the king’s image. So it will be with the 144,000! This sealing will, first of all, identify them as belonging to Christ. Revelation 14:1 says they will have “His Father’s name written on their foreheads!” This is in direct contrast to the followers of Antichrist who, as a sign of loyalty to him, will choose to wear the mark of the Beast “on their right hand or on their foreheads.” (Revelation 13:16) From the outset of the Antichrist’s reign, God will make it clear who it is that truly speaks for Him. The second purpose is protection. The fact that they are sealed before judgment comes indicates that this sealing will protect them from all the plagues that are about to fall upon the earth. It also guarantees their survival until Christ’s return at the end of the Tribulation. 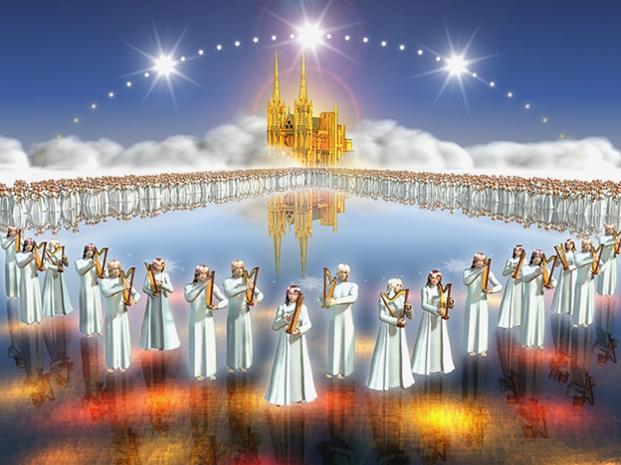 For when “the Lamb” sets foot on Mount Zion in Revelation 14:1, the 144,000 are there waiting to greet Him. Matthew 24:34 further supports this opinion. Speaking of the great tribulation, Jesus said to His Jewish listeners, “Assuredly, I say to you, this generation will be no means pass away till all these things are fulfilled.” Jesus wasn’t referring to a span of time. 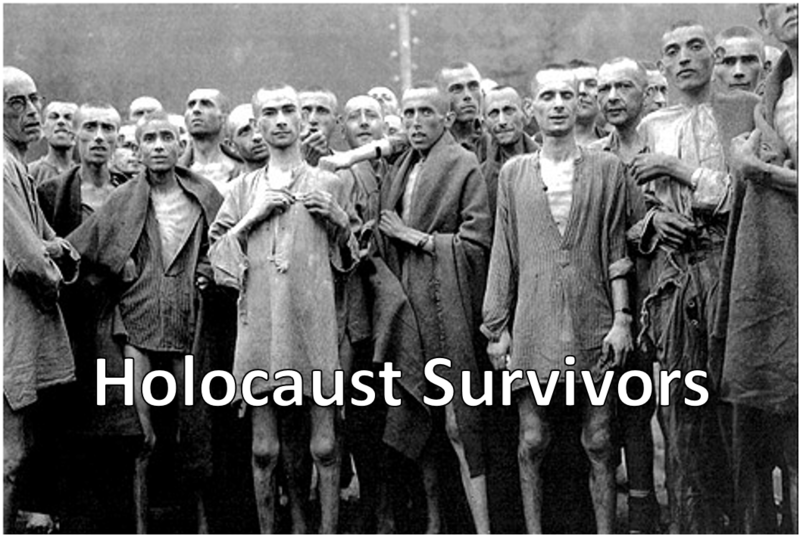 The word generation is genea from which we get the words “genealogy” and “genocide.” He was referring to a race of people, promising that just as Hitler failed to exterminate the Jews in World War II, the people of Israel will miraculously survive the coming holocaust of Antichrist. 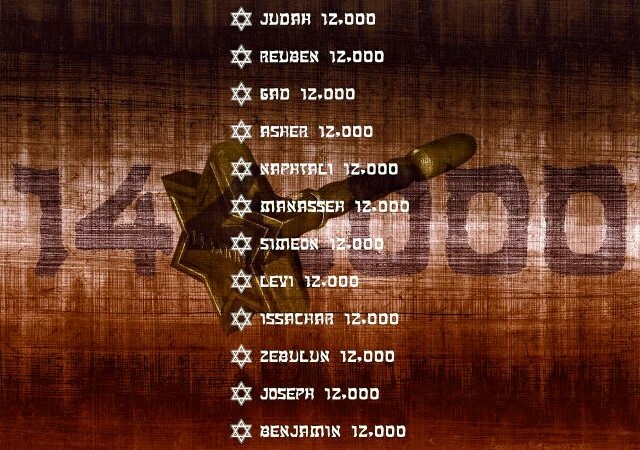 Many Jews will be martyred, but all 144,000 will remain alive to enter the Kingdom of God. By the way, though only the 144,000 will be sealed in this manner, we who love Jesus need to remember that we too enjoy a miraculous sealing. 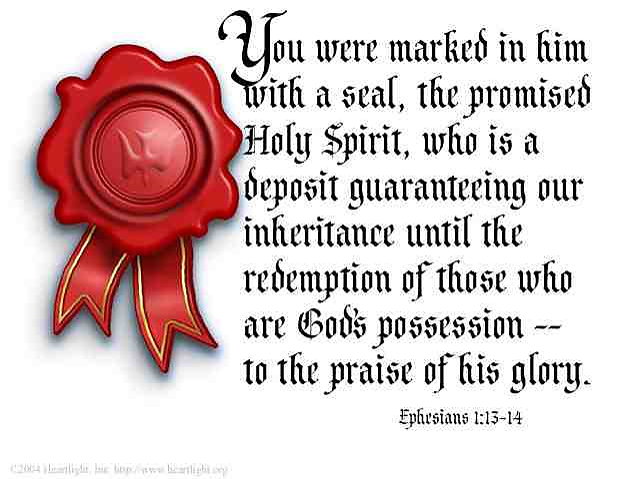 Ephesians 1:13-14 says, “In Him you also, when you heard the word of truth, the gospel of your salvation, and believed in Him, were sealed with the promised Holy Spirit, who is the guarantee of our inheritance until we acquire possession of it, to the praise of His glory.” So take heart! No matter what disappointments or dangers you face today, you are precious and protected. The moment you received Christ, He wrote His name on your heart and sealed it with His Holy Spirit, so that nothing can touch you unless it’s by His divine permission and for your eternal good. Few passages have been as misinterpreted as verses 4 to 8. 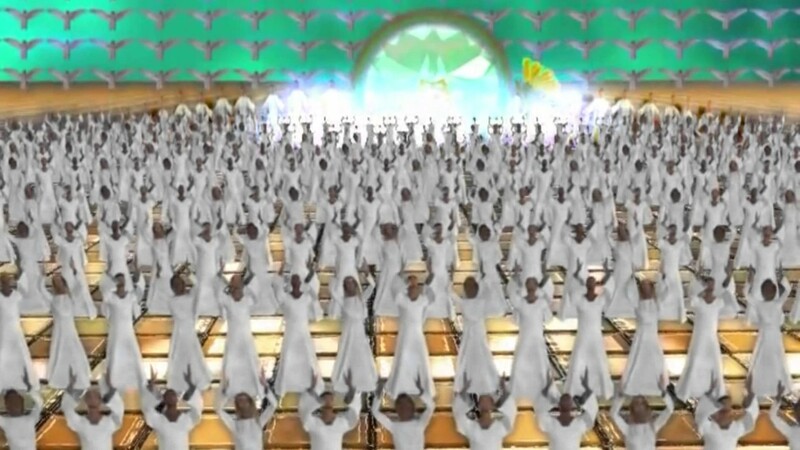 My own sister argues that the 144,000 are members of the Watchtower Society who faithfully kept its laws and will one be in heaven. Unfortunately for her, the Watchtower teaches that those positions have already been filled. So her best hope, if she is a good Jehovah’s Witness, is to be resurrected and one day live on a redeemed earth. However, a straightforward reading of this passage makes clear who these servants are. They are not Jehovah’s Witnesses, Mormon elders, or members of any other modern cult. They are Jews, Jews, and more Jews! John says, “And I heard the number of those who were sealed. One hundred and forty-four thousand of all the tribes of the children of Israel were sealed.” In fact, he lists the tribes by name. This does not answer every question, however. For example, we are not told how they will learn from what tribe they come. Such information is lost among the Jews of today. Nor are we told why Ephraim and Dan are replaced by Joseph and Levi. (It may be due to their idolatry in the Old Testament.) Nor is their sudden conversion to Christ explained. The disappearance of Christians at the Rapture may be a wake-up call. But in all probability, like Paul on the road to Damascus, they will receive a personal visitation from Christ Himself. 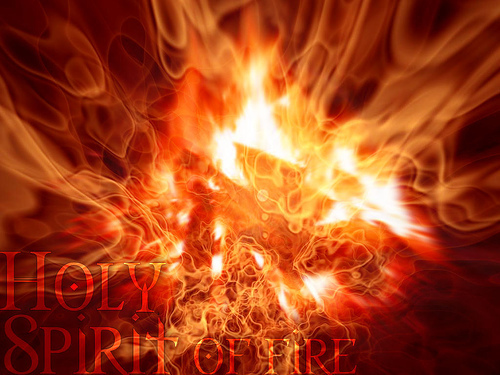 Second, Joel chapter 2 tells us that “in the last days” there will be a miraculous outpouring of the Holy Spirit, and we know what the mission of the Holy Spirit has been since Calvary. It is to point people to Jesus Christ. Speaking of this, Jesus said, “But you shall receive power when the Holy Spirit comes upon you; and you shall be My witnesses in Jerusalem, and in all Judea and Samaria, and to the end of the earth.” (Acts 1:8) Matthew 24:14 confirms that this will continue to be the mission of believers during the Tribulation. 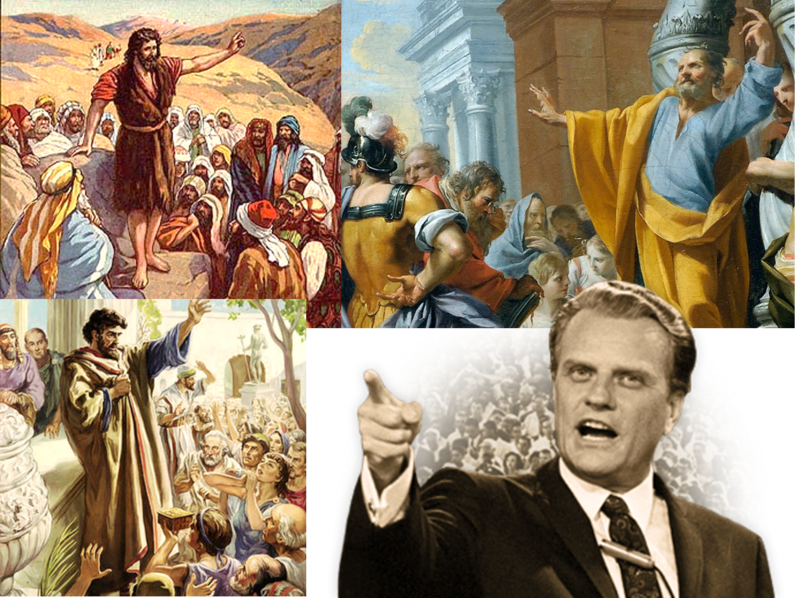 There Jesus said, “And this gospel of the kingdom will be preached in all the world as a witness to the nations, and then the end will come.” Who will preach the gospel at that time? The church will no longer be on earth, but in heaven. Only the 144,000 will be left to do so. Revelation 14:6 points to their part in this great work. For immediately after describing the 144,000, John says that this gospel will be preached “to every nation, tribe, tongue, and people” on earth. Third, Revelation 7:9 ties the salvation of the Gentiles to the work of the 144,000. Immediately after describing their sealing in verses 4 to 8, John writes, “After these things I looked,” and he saw a vast multitude of Gentiles saved during the Tribulation. The phrase “after these things” emphasizes a sequential order. First, the 144,000 are sealed; then the multitudes are saved. It is only natural, then, to assume that the first event leads to the second. In other words, the salvation of the Gentiles will be the direct result of the work of the 144,000. This is further supported by Revelation 14:4 which calls the 144,000 “first-fruits to God and the Lamb.” That is to say, the 144,000 will be the first ones saved during the Tribulation, but they won’t be the only ones. Multitudes of Gentiles will respond to Christ as a result of their ministry. 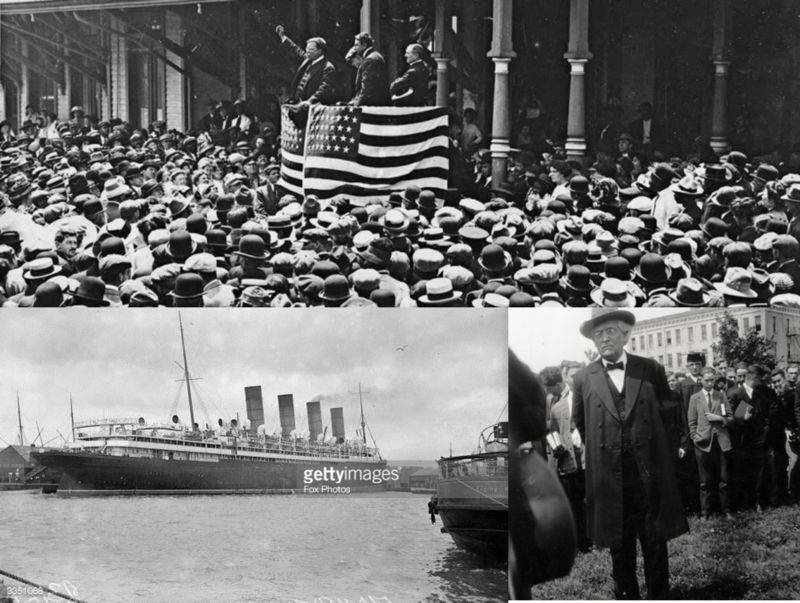 Their impact is hard to grasp given the lack of spiritual leadership in the world today. But imagine if God suddenly unleashed 144,000 Spirit-filled John the Baptists, Apostle Peters, Apostle Pauls, and Billy Grahams all at the same time. There won’t be a need for any seminaries, mission agencies, or language schools to prepare them. Knowing that the time is short (just 7 years! ), these totally dedicated men will put everything aside in their spontaneous desire to preach the gospel. Furthermore, Joel indicates that the true gift of tongues will be revived at this time, so that everyone is able to understand “in their own tongues the wonderful works of God.” (Acts 2:11). What a day of revival that will be! But not without a price. For in the verses that follow we discover that everyone who accepts Christ will then be brutally martyred for their faith. Immediately following the sealing of the 144,000, John sees a vast multitude standing before the throne of God and clarifies four facts for us about them. The first thing that’s obvious about this multitude is that they are not Jews, nor do they include the 144,000. For these believers are said to come from “all nations, tribes, people, and tongues.” In other words, they’re Gentiles. What Gentiles? Is this just another reference to the Church? No, this is a reference to multitudes of unbelieving Gentiles who turn to Christ after the Rapture has taken place. Let that be of great encouragement to you if you have unbelieving loved ones you fear may be left behind if the Rapture were to take place today. For here John reveals that one of the greatest harvest of souls the world has seen will take place not before, but after the Tribulation begins. So there is still great hope for your family and friends if the Rapture happens soon. Yes, they will have to suffer, but the suffering of this present time is very short compared to the eternal glory and joy that they will experience forever. How many will be saved at this time? 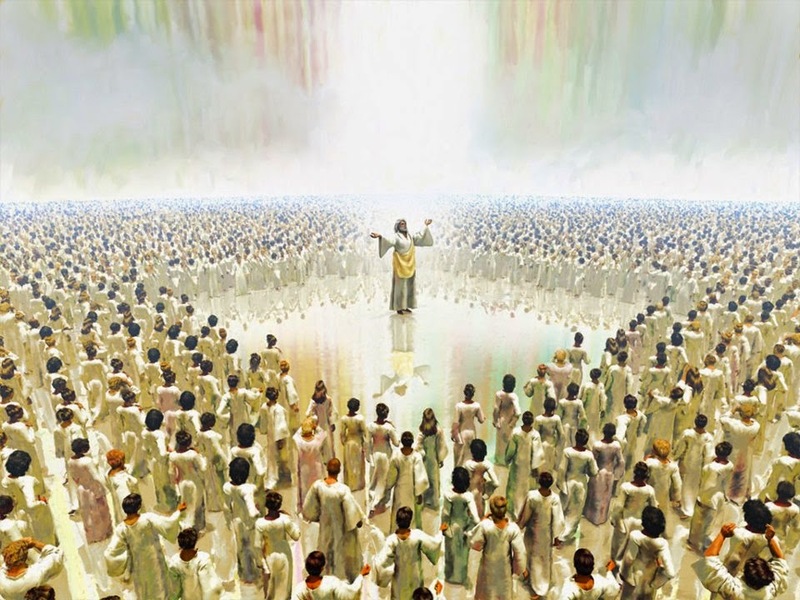 John says, “a great multitude that no one could number.” Do you realize what this means? More people may be saved during Antichrist’s reign than all the years of the Church age put together! What a testimony to God’s mercy! Where sin abounds, grace much more abounds. The Rapture itself may explain a great deal. Imagine the impact on humanity when thousands of Christian airline pilots, police officers, doctors, and other specialists suddenly disappear from the earth. Add to that the fiery preaching of the 144,000, and many thoughtful individuals who never before gave the gospel a serious hearing, will quickly blow the dust off their Bibles and begin to study the very information you’re studying today. They’ll want to know, “What on earth happened to the Church!” And when the truth of God’s Word, enlightened by God’s Spirit, finally dawns on them, they will soberly turn to Christ in repentance and faith. Is that the theme of your song? Dottie Rambo captured the greatness of Christ’s salvation in the beautiful lyrics that follow. Those of you who are familiar with Londonderry Aire (Oh, Danny Boy!) might even want to stop at this point and sing the words to Christ in worship, for their message will be the theme of our hearts forever. Amazing grace shall always be my song of praise, for it was grace that bought my liberty. I do not know just why He came to love me so. He looked beyond my fault and saw my need. I shall forever lift mine eyes to Calvary to view the Cross where Jesus died for me. How marvelous the grace that caught my falling soul! He looked beyond my fault and saw my need. The second blessing they enjoy is permanent protection. During the Tribulation, there will be constant hunger, thirst, and suffering. The 144,000 will be safe from these plagues, but not believers at large. As is so often the case today, God’s judgments fall on both the righteous and the unrighteous. Think about the victims of the latest hurricane, earthquake, or forest fire. Is it only unbelievers who suffer these things? No, the results of the curse fall on all of God’s creatures today. But one day that will end! One day all hunger, thirst, pain, and suffering will come to an end, when we finally arrive safely home in the presence of our loving God. The third blessing is permanent peace. Our passage closes with one of the most beautiful verses in the Bible. Here Psalm 23, the Shepherd’s Psalm, becomes a never-ending reality. The Lamb becomes our Shepherd and leads us “to springs of living water. And God will wipe away every tear from our eyes.” There are some trials and heartaches in this life which seem so devastating that we think nothing can ever ease our pain. But that is not so! The One who was able to calm the storm and hush the sea will have no difficulty speaking perfect peace to our hearts. 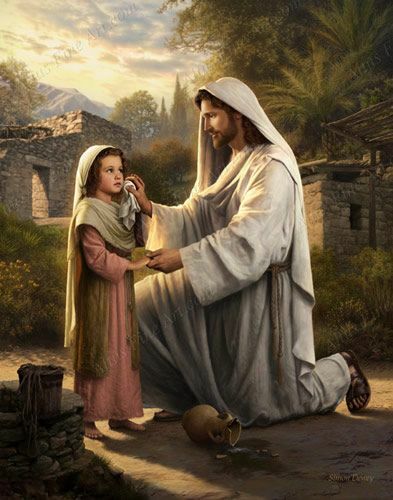 Just as a little child runs home for the comfort of his mother’s kisses when he’s hurt, so God will wipe away every hurt from our hearts and every tear from our eyes. This entry was posted in Uncategorized and tagged angels. 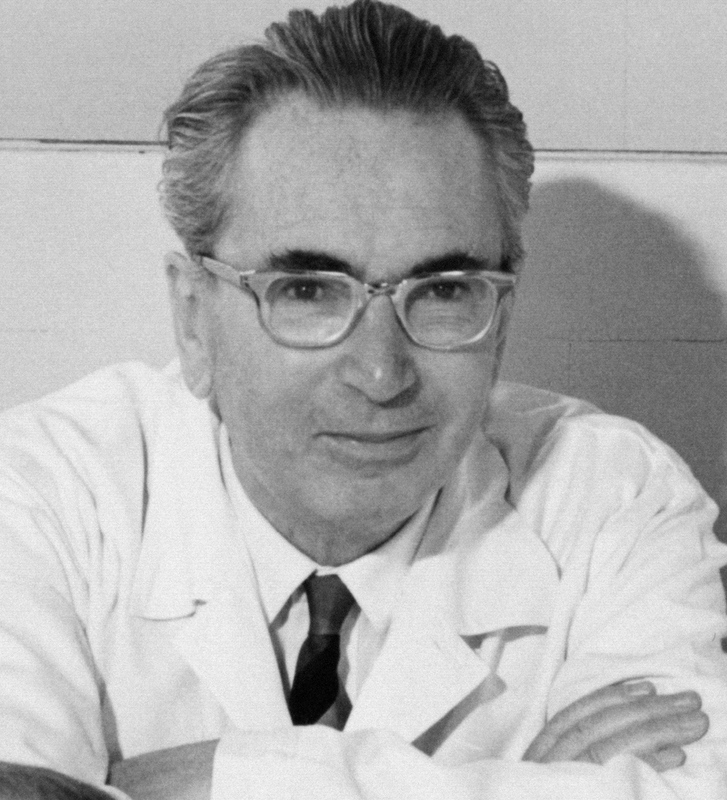 Israel, Holocaust, Jesus Christ, Jews, martyrs, peace, possession, Prophecy, protection, Rapture, Revelation, rewards, The 144 Thousand, Tribulation, Viktor Frankl, witnesses, worship. Bookmark the permalink.